POCATELLO, ID (October 21) – BlueRibbon Coalition (BRC) announced today a major partnership with Source Interlink, one of the largest publishers of magazines and online content for enthusiast audiences, reaching off-road readers around the country. Source Interlink and BRC are working cooperatively on informational ads promoting BRC and our mission of protecting responsible recreation. Ads will be placed in numerous magazines, including Four Wheeler, JP Magazine, 4Wheel Drive and Sport Utility, Off-Road, and 4Wheel & Off-Road. Source Interlink and BFGoodrich Tires combined resources to give one randomly-selected lucky winner a set of awesome off-road tires just for being a member of BlueRibbon Coalition and being in the game of keeping trails open. Jerry Sparkman of Gilroy won a beautiful set of 37″ KM2 BFGs. Source Interlink plans to expand this membership incentive with other tire manufacturers as well. “We are staunch supporters of keeping our trails open and our sports alive,” said Jeff Nasi, Source Interlink Group Publisher. “BlueRibbon Coalition members are the national grassroots champions and we are proud to do our part to encourage more folks to join up and help save trails,” Jeff added. 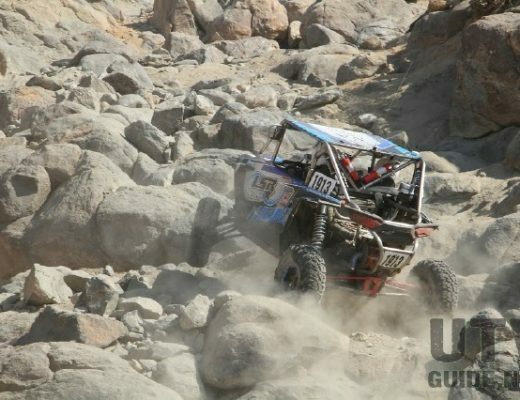 “This support from Source Interlink and all these great off-road magazines is a huge opportunity to educate the recreating public about protecting recreation,” said Greg Mumm, Executive Director of BRC. “When it comes to the stewardship of our public lands, we promise to be in the forefront, working with our partners like Source Interlink and BFGoodrich Tires to ensure the continued responsible use of our public lands for outdoor recreation,” he concluded. BRC’s website (www.sharetrails.org) is a powerful force in educating the American public in all forms of outdoor recreation, and the BRC leadership is committed to empowering members to stay in the game. More information about Source Interlink can be found at http://www.sourceinterlink.com.